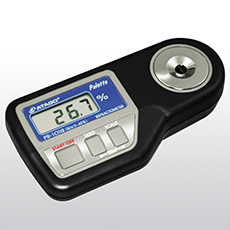 PR-101α is designed to have a high measurement accuracy and to cover a measurement range between 0.0 and 45.0%. It can measure Brix values of fruits juice, food and beverage as well as chemicals and industrial liquids such as cutting oil, cleaning liquid and antifreeze. 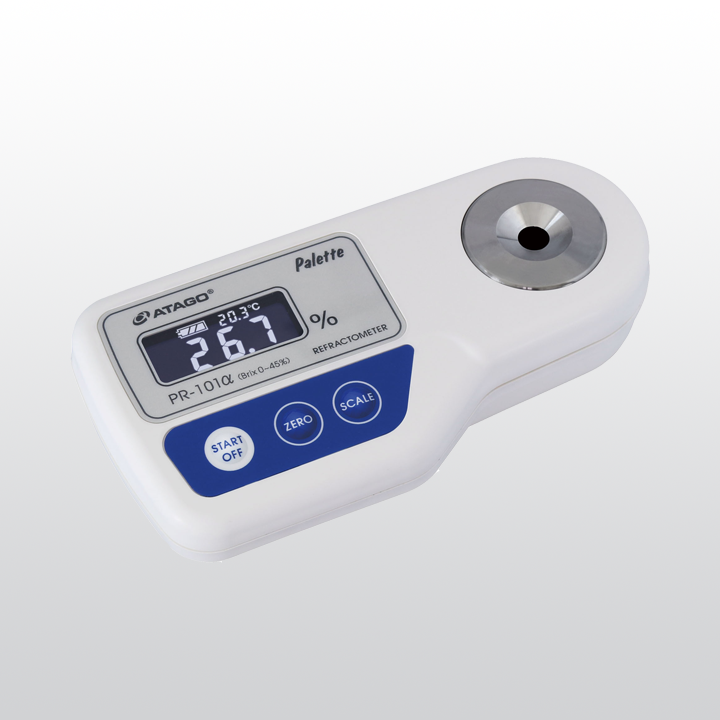 This refractometer is programmed with the user-scale feature. This function will allow users to input the coefficient into the formula to display the concentrations according to each type of samples.Â PR-101Î± is equipped with an "external-light-interference (ELI)" that enables users to take accurate measurements with ease and confidence near a window or outside. Related links to "ATAGO PR-101α"